Thousands of dollars in cash prizes are awarded during the weekend to those in all the competitions. 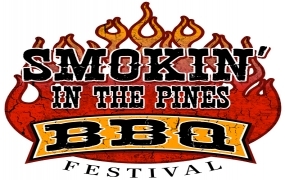 Visitors can sample BBQ at the many sampling stations or they can be a judge in the People's Choice portion of the event where they can try over 35 different kinds of pulled pork. A mixture of southern rock and country music plays throughout the entire weekend featuring some of the most renowned southern rock and country artists. For those who want to attend this event, there is no fee to enter, however, if you want to sample BBQ and enter the People's Choice, there is a small fee for those portions of the event. In addition to BBQ, this event features arts & crafts, antique car show, kids play area, activities and great entertainment.